(RxWiki News) Unfortunately, medication errors occur relatively often — and they can harm you and your family. The good news is there are ways to avoid medication errors. By following these eight safety tips, you can help prevent medication errors at home and keep yourself and your family safe. Ask your doctor or pharmacist questions about your medications and what they treat. 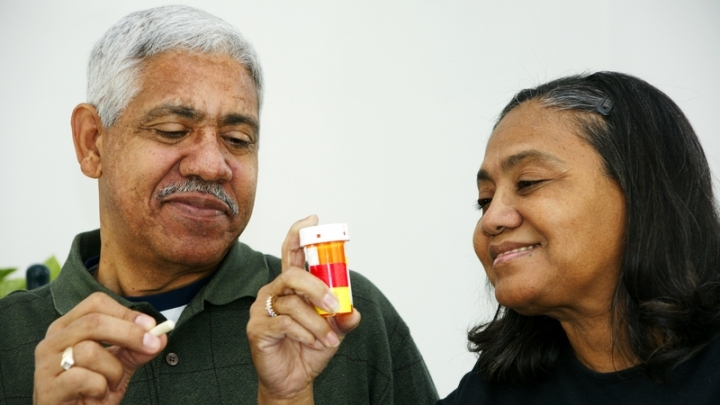 Knowing what medications you take and why can help you identify possible problems. These potential issues include duplicate therapy (taking two of the same medication or two of the same type of medication), drug allergies, changes in dose and discontinuation of medications. If you are allergic to a certain medication or have had a past issue with one, it is critical that you relay that information to all of your doctors and pharmacists. This will help keep you from receiving that medication or a similar one in the future. Furthermore, if you use more than one pharmacy, neither pharmacist will have enough information to identify these issues. Filling all of your prescriptions at one pharmacy can prevent you from receiving duplicate therapy and medications that may interact with each other. If you must have multiple doctors, keep an up-to-date medication list that you can give to each of them. Keeping medications separate can keep you from confusing them and taking them incorrectly. Some medications require certain storage conditions. For example, nitroglycerin tablets used to treat chest pain must be kept in an amber (dark-colored) glass bottle to keep their potency. Do not take more medication than instructed by your doctor and pharmacist. Taking more than recommended can result in more side effects and may harm you. Following instructions also includes not missing doses. Always get your refills on time to avoid missing doses. Missing a dose of your medication can be considered a medication error through omission. Unless your doctor or pharmacist says so, that is. Patients who have trouble swallowing pills often try to cut, chew, open, or crush the tablet or capsule. This may become an issue with long-acting medications like those that are available in XR, XL, SR and ER formulations. When the long-acting formulations are cut, crushed or chewed, they may release the medication too quickly and not last the way they are designed to. Also, they may actually harm you if they are not administered as instructed. Always ask your doctor or pharmacist about the best way to administer your medication. If you have trouble swallowing pills, speak to your doctor or pharmacist. Health professionals can recommend a suitable formulation. Dispose of all medications you are no longer taking or those that have expired. Expired medications are no longer as effective because they lose potency after their expiration date. 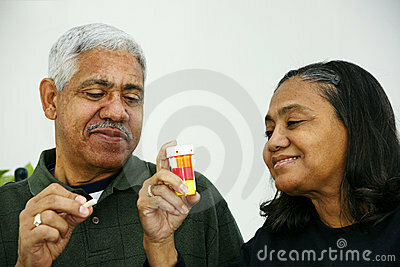 Furthermore, some medications can be harmful when taken after the expiration date. Keep an updated list of all medications you take, including over-the-counter medications and herbal and nutritional supplements. You can provide this list to your doctor and pharmacist. It's also very important to tell your pharmacist and doctor about all of the medications you take, including vitamins, supplements, over-the-counter drugs and prescriptions. Even over-the-counter medications can interact with other drugs or your prescription medications. In addition, some products may not be safe to take if you have certain health conditions. That's why it's critical that you disclose all of the medications and products you take to all of your health care providers.